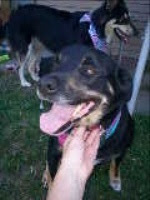 Non profit dog rescue seeks storage asap! Gingers Pet Rescue specializing in saving death row dogs is seeking "donated" storage. The type of storage desired would be about the size of a 10x12 bedroom dry for art work and donated auction items to be used in future fund raisers. The storage facility that houses the items now is changing management and can no longer assist in the storage of the items. Do you have an extra room? Know of a facility that can assist us? We would love to hear from you. "Ginger's Pet Rescue" is a charitable 501 (c) 3 Non Profit Organization. Federal Tax ID 83-0347515 Your donations are deeply appreciated as every dog that comes out of Death Row is always in need of vet care. In order for Ginger to get a dog out of the shelter the dog must be spayed or neutered and vaccinated before they are ever released. Your donation will help save even more dogs & is tax deductible. A tax receipt will be mailed to you. Dylan is your Dog of Choice! 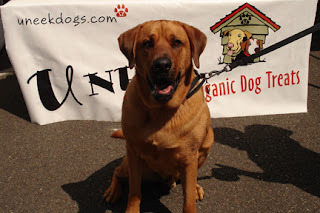 My name is Dylan and I am a 5 yr old Labrador Retriever and Shepherd mix. I am a wonderful loyal and very loving dog! I am a 5 yr old neutered male, up to date on all my shots, and also microchipped and really to go to my new forever home! I get along with everyone, other kids, dogs, cats and people of all ages. I live right now with a 3 month old baby that I just adore to be around. I am 60 lbs, housebroken, very well behaved and I love to play with all my toys. I require a fenced in yard so I can get my excercize. I love to go to parks, hiking, and all kinds of outdoor activities so you can take me everywhere with you! If you are an active family and also want a dog to cuddle with, I am your dog! Adoption Fee: $ 140.00 Please email for an application to fill out! We Desperately Need Your Help! The pictures below tell you so much about Geneva’s personality and it’s touching. Her face makes you smile (because she looks like she’s enjoying a good joke) and clearly she has an affectionate and warm side to her, too. Geneva is a 2 year old Pit whose owner is sick and is also being evicted. She has until September 10th and if not rescued, we may not see her smile anymore. 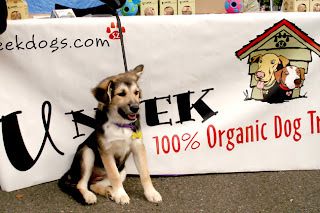 Teresa from The Big Dog Project is asking us to help them find a place for charming Geneva. 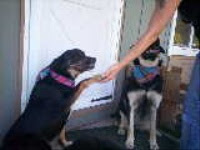 From their observation the owner loved his pets and the dogs have good coats and are socialized. They have no room at their rescue and with fosters so Geneva was left behind to face an uncertain future. 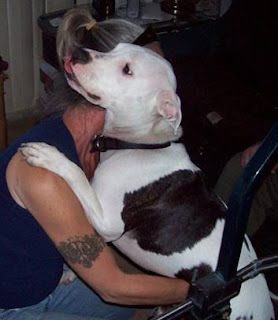 If you cannot readily adopt can you please foster her for a while? Teresa is very worried and really wants to help her. Please contact her about any alternatives or ideas at trester14@hotmail.com. Thank you. What a fitting name for a one-year-old boy who wants to be just that - YOUR family's buddy. 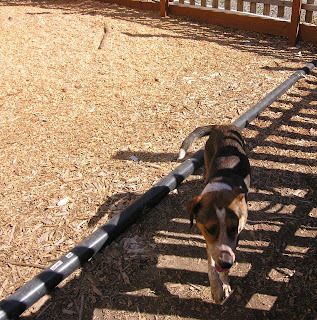 He is a small coonhound (blue tick or treewalker) and was lost and starving with his bones sticking out. A kind person took him in and gave him love and food. Now he needs a home to call his own! 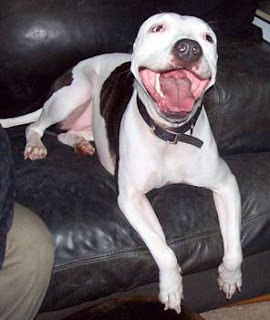 Buddy is housebroken, white with red/blue/black spots, and loves other doggies. He likes to chase cats but maybe we can tell him that is a no-no. He is curious playful, loving, friendly. He is still underweight and probably should be about 40 lbs. Loves kids. He is not yet neutered but will be. Please Be A Voice For Our Animals! I am writing to you all to implore you to please make a call and write a note, sharing displeasure of a plea bargain and pass on to everyone you know. This lies at the core of our society. Do you think Vick should get off w/ maybe a year in jail, a small fine and get to play football making the same money to start this all over again and a ref betting on a game should get 20 years? If he gets off w/ barely a slap on the wrist, what will that say? Please be a voice for these poor animals. Make it so they don’t have to suffer anymore. What type of culture do you want for yourself and your children? I hope it is for compassion and respect for all things living. Thank you for the few moments you devote. Take good care. I love selling at farmers markets. They offer you incredible food, flowers, local businesses, crafts and specialty artisan creations. The folks I meet really enjoy being there. 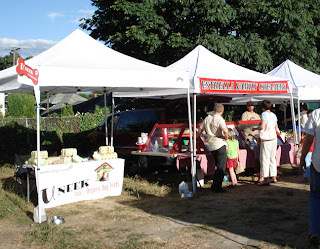 They support the community and local farming. We don't talk enough about how important it is to grow local and micro. There is overwhelming evidence, daily, and at levels we cannot comprehend, that show us how bad it is to grow in mass. I find the selfish behavior of those that destroy our environment, and don't farm with sustainable practices, ironic, considering they are sealing their own fate. Acting that selfish and not caring beyond the immediate, well lets just say, wealth will not save you. It doesn't make sense. The farmers market is inspiring. We are a community and the more we gather together, the bigger our support, the better the understanding. The better for the environment. It is the very farmers at the local markets across the world that grow the finest organic foods for our survival. Of course my favorite part; the dogs. They are so much fun and how great to be able to share them with everyone. Sadie a 5 month old rescued Samoyed and what a cutie! 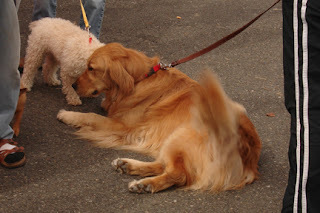 See McKenzie getting to know new Friends and showing the love by getting down low to greet them with wagging tails of excitement. McKenzie was really enjoying her tiny friends. Just look at that tail! 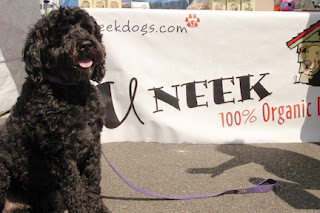 Ernie, a Portuguese Water dog. One look at that face and you know that he is one smart dog! 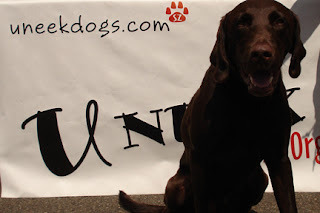 Hershey - a Chocolate lab with one of the busiest noses you will ever run across. 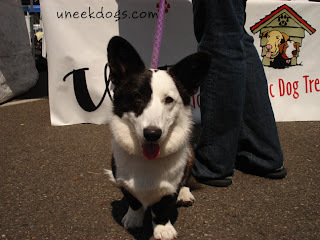 Sadie - a Cardigan Corgy - the original was cross bred with Collies and the Welsh Corgy were bred w/ spritzers. A good time was had by all. Please spread the word. Take advantage of great prices and the local economy. You can also enjoy walking around and getting some exercise. 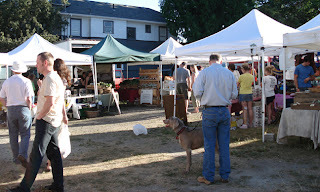 Here is a link to all the local farmers markets in Washington. This blog is dedicated to our Uneek Bakers. There is not enough I could say to convey the amazement and pride I have for each and every batch of treats that are hand produced. 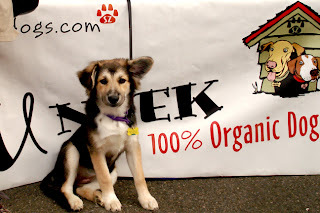 The dedication to each and every treat is what makes Uneek Treats the best anywhere. As I am bagging each box of Uneek Treats and marveling at the quality, I find myself eating more than I am bagging. Each treat keeps getting better and better and it is all due to Uneeks' Baker Jane with the part time assistance of her husband Mike. Who taught her everything she knows! Jane has taken Mikes 20 years of experience and recipe development of Uneek Treats and crafted them into the best quality artisan treats for everyone to enjoy! She is continuously evolving the recipe to give a great taste from nature in each and every treat. There is no salt, sugar or fillers of any kind. We use the basic and the best. Our Kamut grain is the key to the success of our treat and the foundation for a complete nutritional bite. The ingredients that make up Uneek Treats all have a vital role in helping your body receive the energy it needs to succeed. It is our goal to never use more than absolutely necessary and to only use the best. Thank you so much Jane and Mike, I celebrate you both and am grateful we were brought together to make a product that is one of the best in the world!